Unless otherwise noted, material on this website was created by me (Megan Miller or, occasionally, Megan H. P. Miller). All uses are believed to be legal, under fair use if not less fuzzy principles; please contact me if you believe otherwise. Generally speaking, I’m fine with material being reused but would appreciate a credit line and/or link back, as appropriate for the medium in question. Shelf at the Germantown Historical Society, including the meat grinder. Photographed for use in my MA thesis. 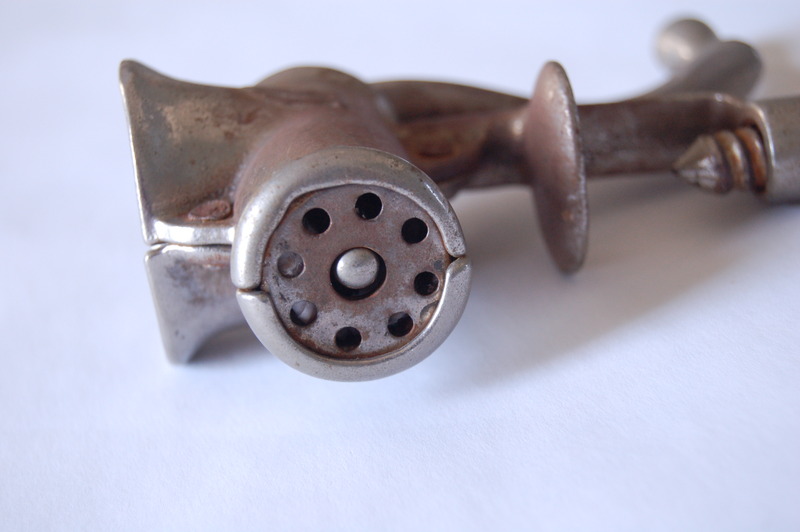 A close up shot of the meat grinder. Photographed for use in my MA thesis. 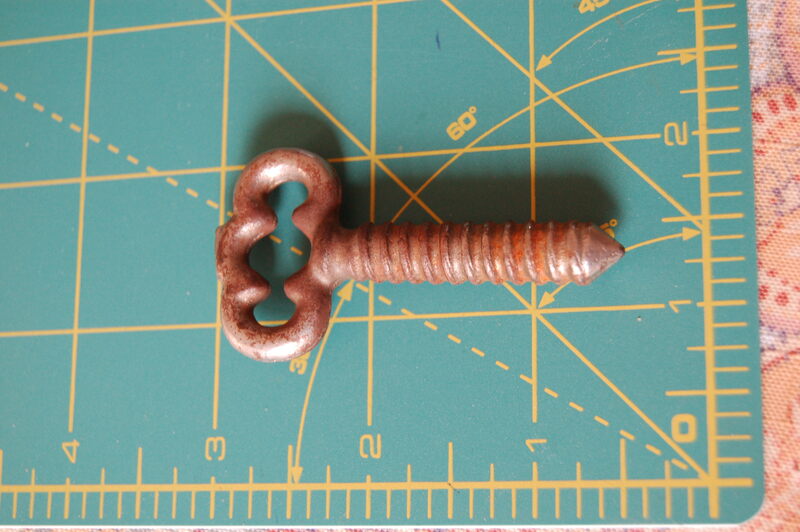 The meat grinder’s screw, on cutting mat for scale. Photographed for use in my MA thesis. 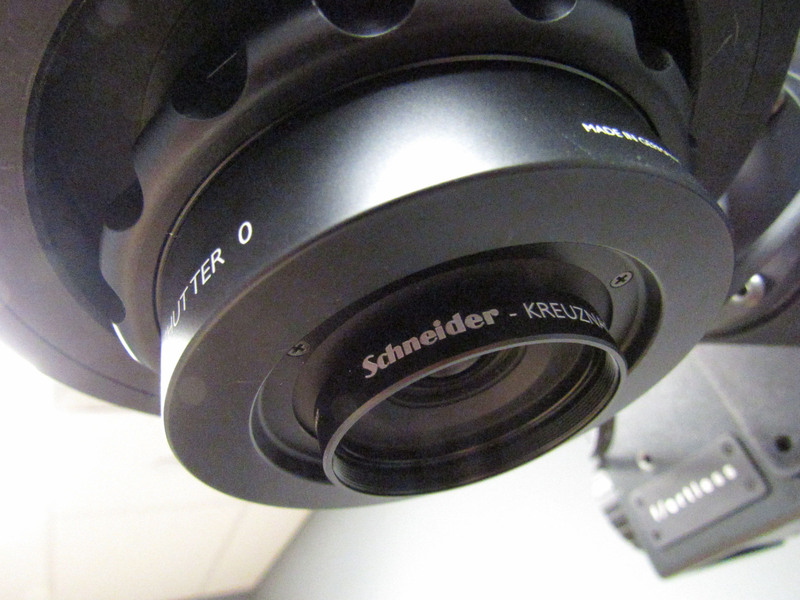 Schneider Kreuznach Apo-Digitar 5.6/72 L-62° lens, in use at the Science History Institute (formerly the Chemical Heritage Foundation). Photographed June 2016 and included in a Twitter takeover. 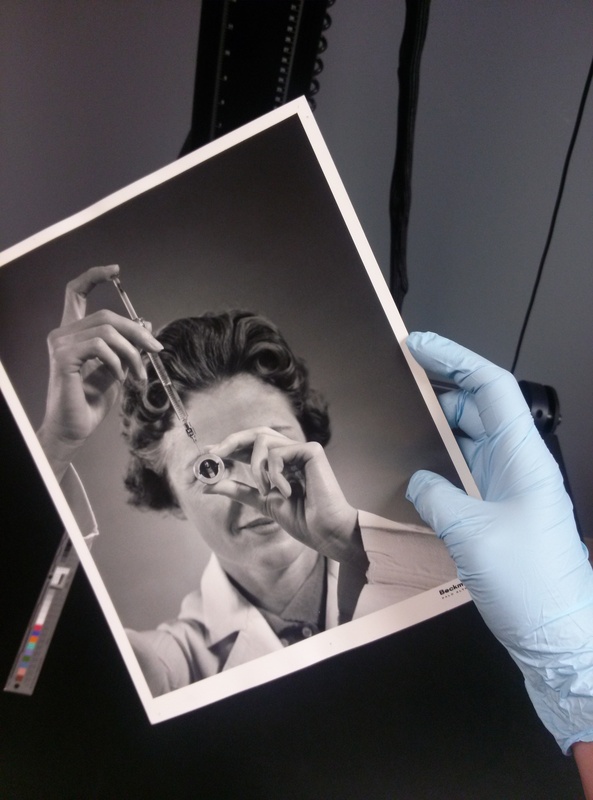 My gloved hand holding a photograph of a woman holding the Beckman Model E Centrifuge sample chamber up to her eye while injecting a sample. The 1950s photograph is part of the Beckman Historical Collection, box 59, folder 140. 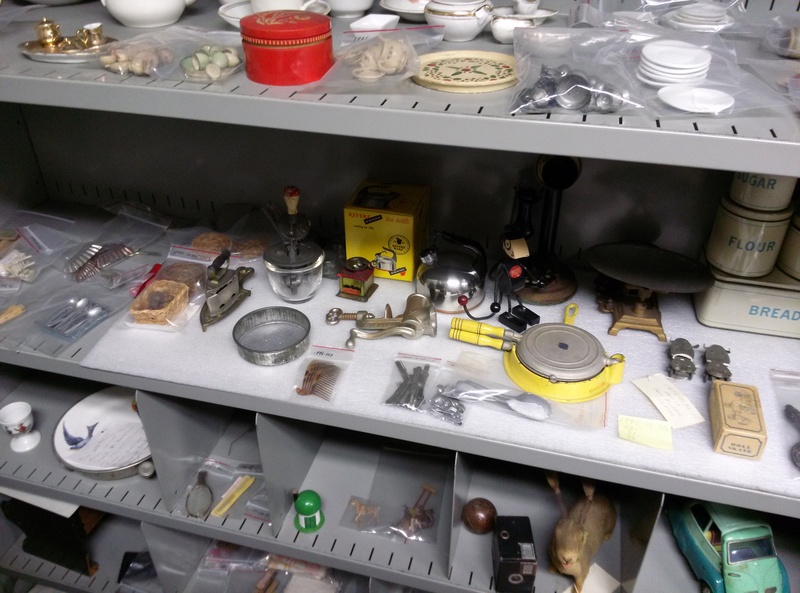 Photographed in the Science History Institute digitization room, June 2016, and included in a Twitter takeover. 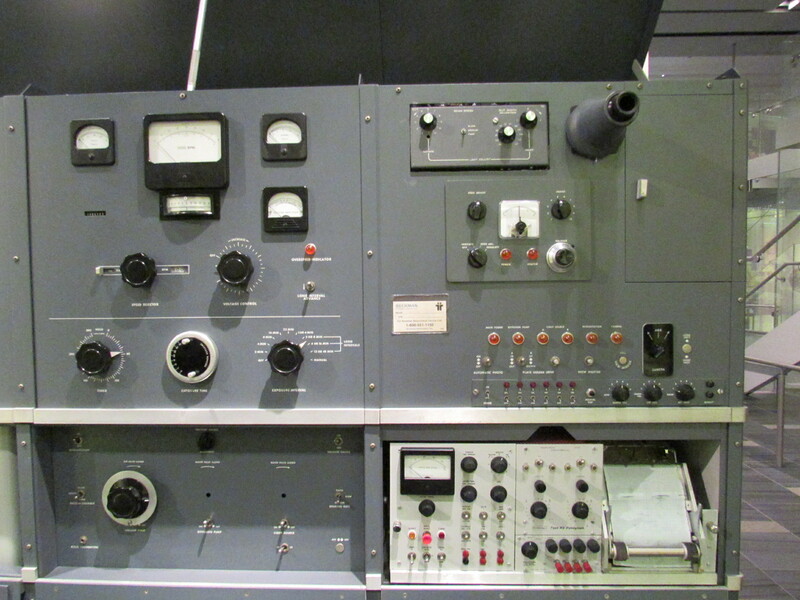 Beckman Model E Ultracentrifuge, on display in the Science History Institute museum. Photographed June 2016. 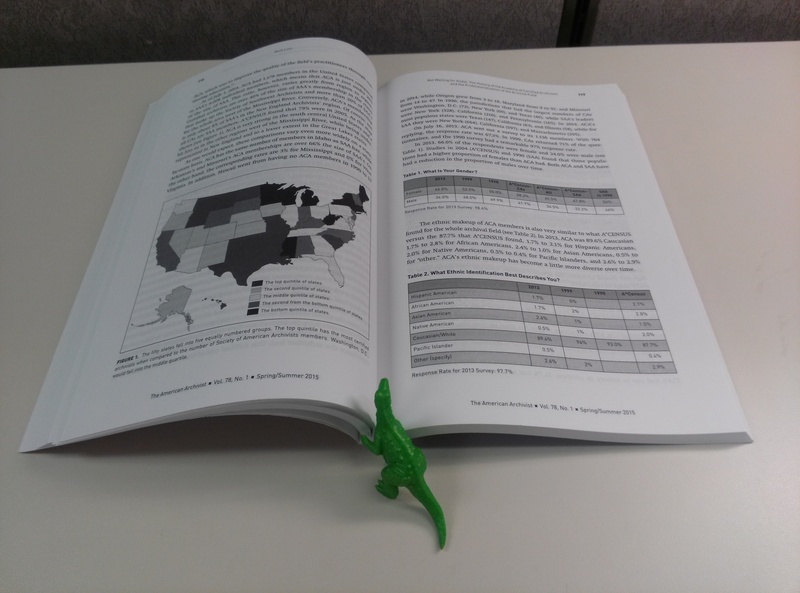 Small green dinosaur reading The American Archivist, Vol. 78, No. 1, Spring/Summer 2015. 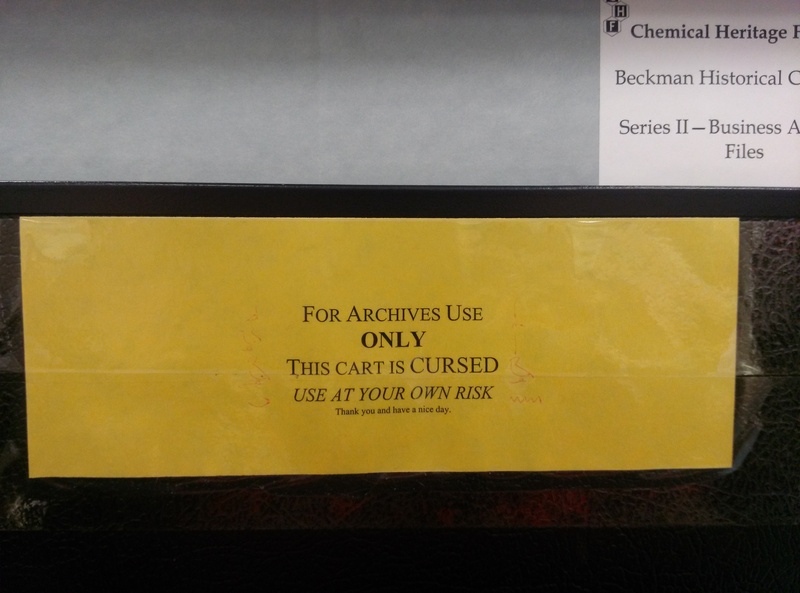 Cart label (“For Archives Use ONLY“) in use at the Science History Institute. Photographed and tweeted, June 2016. 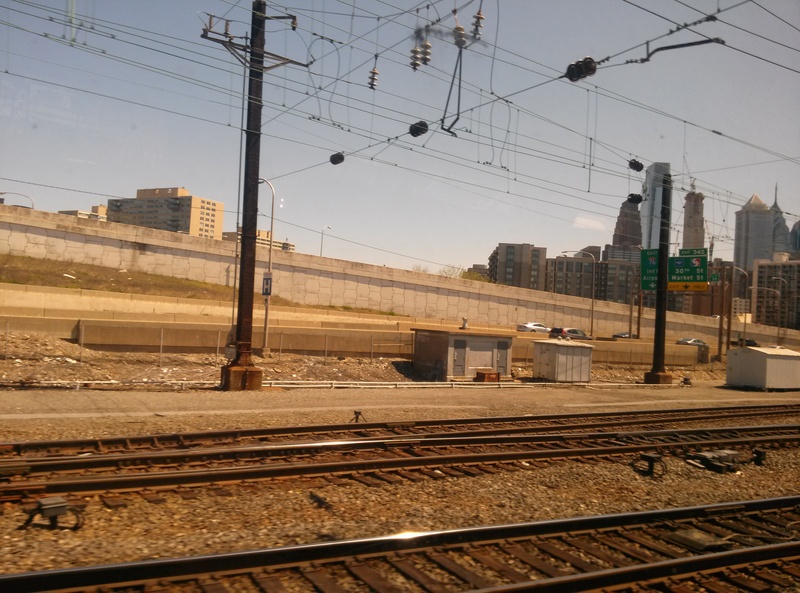 Departing Philadelphia’s 30th Street Station, view from an Amtrak train. Photographed 13 April 2016 en route to MARAC. 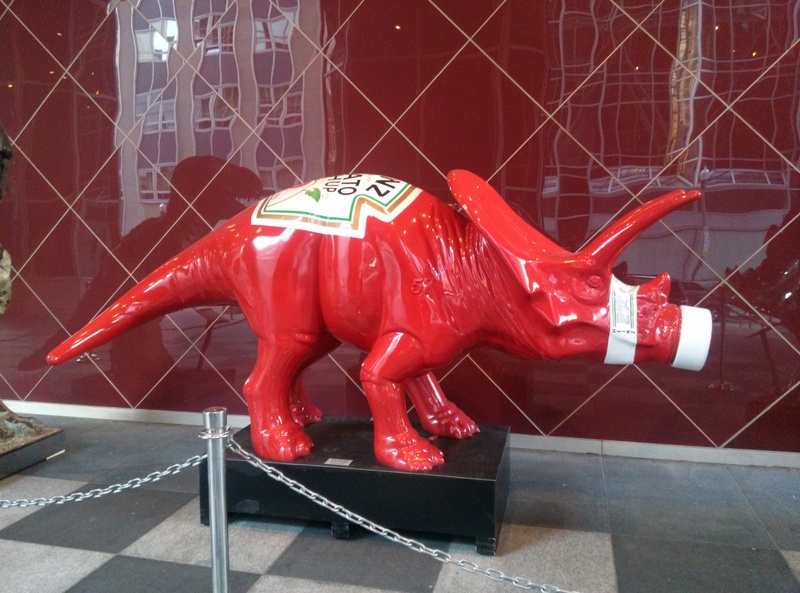 Heinz Ketchup Triceratops, Pittsburgh. Photographed 14 April 2016 at MARAC. 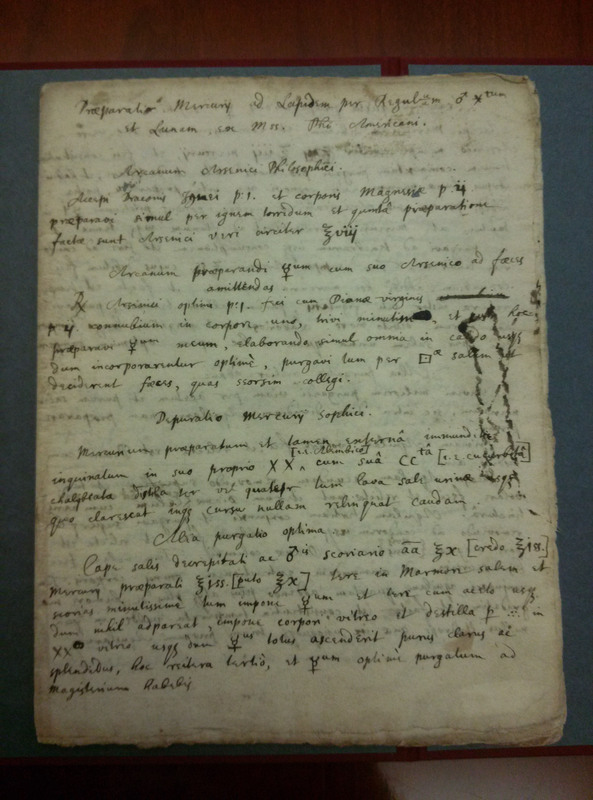 Detail of Isaac Newton’s “Praeparatio mercurij ad lapidem” manuscript (ca. early 1670s). Photographed and tweeted 24 February 2016, when the new purchase arrived at CHF (now the Science History Institute).